Food Blogga: Do you tofu? I do. Tofu. Is there another food so misunderstood, so unjustly maligned? Some people don't simply dislike tofu, they hate it. Why? Here's my theory about tofu antipathy: It's not the taste (there isn't any; it takes on the flavors of other ingredients), or the texture (there are many different ones to choose from), or the price (it's not expensive). Tofurky is a mock-turkey eaten as a vegetarian alternative to turkey. Look at it. Does that look like turkey to you? I mean, it actually comes in a box. Of course, with a little creativity, you could make it look more like a turkey. I guess it's not only Tofurky, though; it's all those meat wanna-be tofu products that have ruined it for tofu. What's the point of tofu sausage or tofu bacon? They aren't fooling anyone. These imposters have made it too easy to poke fun at tofu and dismiss it as "weird." It's not. It's good. Really. And good for you too. Tofu is rich in calcium, protein, iron, and isoflavones, which may help prevent osteoporosis as well as preserve already osteoporotic bones. If you're a tofu newbie, then check out Kalyn's article, "Tackling Tofu." Then try her Stir Fried Tofu with Scallions, Garlic, Ginger and Soy Sauce, which she submitted to my Beautiful Bones event that runs through May 31st. Ever humble, Kalyn gives Mark Bittman too much credit -- she clearly has the tofu touch. Firm tofu (and extra-firm) is dense and holds less water than other types, so it's ideal for sauteing and grilling because it maintains its shape. Usually you have to place the tofu between two sheets of paper towels and place a heavy object like a pan on top to squeeze the water out. Most extra firm tofu, however, has so little water that just patting it dry is sufficient. Try it in salads, sandwiches, and stir-fries. Soft tofu is great for blending. Use it in soups, dressing, or sauces. Silken tofu has a soft, creamy texture and also works well in blended dishes such as purees and desserts such as puddings. 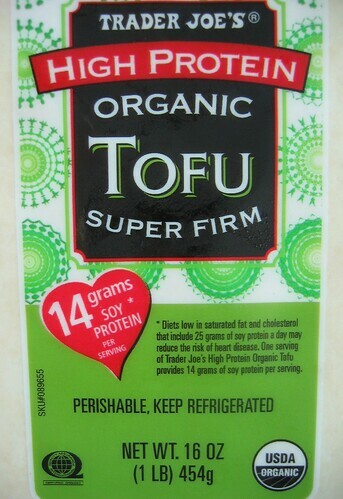 My favorite brand, Trader Joe’s Super Firm Extra High Protein Organic Tofu, has a whopping 14 grams of soy protein and only 100 calories per serving. 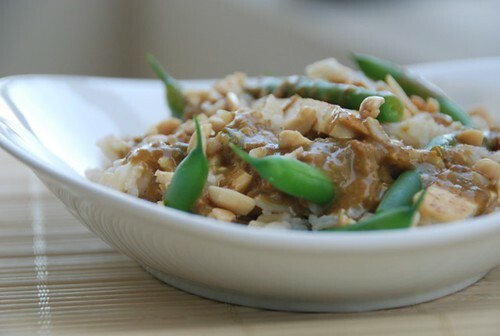 I really love it with string beans and Thai peanut butter sauce, which is faster to make than ordering take-out. That's why I'm sending it to a new blogger friend, the delightful Rita of Mochachocolata-Rita for her Chinese Take-Out Party. The longest part is the rice, but you could make it ahead of time, use a quick cooking rice, or even make it the microwave. The rest of the meal takes about 15 minutes. Bring a large pot of water to a boil. Cook string beans for two minutes. 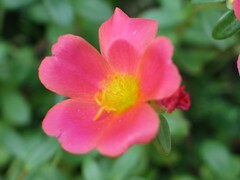 Drain and plunge into a bowl of ice water to stop the cooking and retain their vibrant green color. After 1-2 minutes, drain and pat dry. Set aside. To cook tofu, add 1 teaspoon sesame oil to a large non-stick skillet. Add tofu and saute over medium-high for 7-10 minutes, or until lightly golden and crispy. To make the sauce, combine all ingredients in a bowl, and whisk until nearly smooth (the pb is chunky, after all). In a medium pot, add the peanut butter sauce and cook over medium heat for 3-5 minutes, until bubbly. Lower the heat, and continue cooking until sauce begins to thicken. Add the cooked string beans to the skillet with the tofu, then pour the sauce on top. Mix well and cook over a low heat for 2-3 minutes, or until the sauce clings to the tofu and vegetables. Serve over brown rice, and top with chopped peanuts. Garnish with toasted shredded coconut and fresh cilantro, if desired. Note: Many women are concerned about eating tofu or other soy products for fear that the isoflavones, which can mimic the action of natural estrogens, might lead to cancer. This is complicated. There is no conclusive evidence that shows soy causes cancer. In fact some studies have suggested that soy may reduce a women's risk for some cancers, such as ovarian, while others have suggested a diet very high in soy may increase a woman's risk for some cancers, such as breast cancer. If you have concerns about soy, especially if you have/have had breast cancer or are on hormone replacement therapy, then you should discuss it with your doctor. When do we get a Trader Joe's in Dallas? You are so right about tofu Susan! Really like the look of the string bean dish. Thanks. Your tofu dish looks fantastic. Thanks for the nice comments about my stir-fried tofu, but truly it was easy when I did what Mark Bittman suggested! I can tell I'm a committed tofu cook now. I even have another package in my fridge already! I have never liked tofu so far but seeing your post I will surely give it a go again considering all the health aspects you have highlighted and as you say how it is cooked matters... thanks dear!! I love tofu too, but in the interest of complete information, it might be prudent to mention that like anything else, to much tofu is bad - I know many vegetarians who literally consume five or six servings of soy products a day, which negatively affects your thyroid and imparts a fair amount of hormones that leave people who gorge on this favorite meat replacement open to cumulative estrogenic effects. This can up your chances of developing breast cancer and thyroid problems, among other things. So while tofu is mega yum, like everything else, moderation and a balanced diet is key! LOL...i love tofu but i refuse to eat tofurkey. if one wants to eat tofu, please eat the real thing, not some imagination of the real thing. This is a lovely write up in "defence" of tofu. It's a shame it gets such a bad rap. But you have proven how delicious it truly can be when prepared right. Love the recipe Susan. That tofukey is very intriguing... Your dish looks extremely tasty and delicious! I love tofu prepared the Asian way! I like tofu. But never when it is disguised as meat, though it's perfectly fine prepared WITH meat. Your dish looks delicious! manggy-You can find it in our markets! Isn't peanut sauce divine? tanna-Dallas doesn't have a TJ's? I'm surprised. I'm glad you like tofu, nevertheless. kalyn-Yay! Another package in the fridge already is a good sign. swati-The cooking method real does matter. Sauteeing and grilling are my favorite methods. And tasty sauces make a marked difference as well. eliza-I agree. Eat real food. 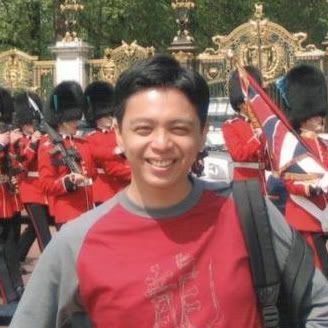 peter-Many thanks! 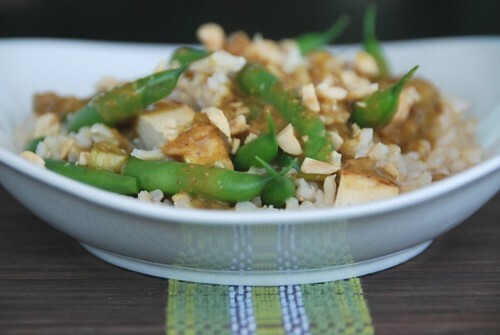 The creamy, spicy peanut sauce really enhances the tofu. rosa-I'm so glad you like the recipe! I've never heard of Tofurkey before ! It's just incredible...! I admitt, I'm not a tofu-addict... maybe beacause of the texture (so strange doesn't it?). But I'm sure that your dish is delicious, with peanuts...wow! And I think that one day, I should try to cook it ! So thank you for this recipe ! This looks delicious! Peanut butter and tofu are such a natural pairing...when I was desperate in college I would have a bowl of rice with raw tofu and a good hunk of peanut butter. Trust me, compared to the alternatives it was divine. I find the key to good tofu is a combination of texture and altering people's expectations. If it's soft and mushy, and you're hoping for something like chicken, disappointment is inevitable. But with a crisp crust and the knowledge that it's a whole new food group, possibilities are endless! 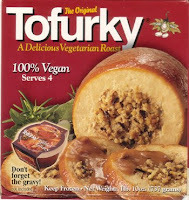 I'm a tofu fan,tofu is super delicious when its cooked with a lot of herbs, but tofurkey? I dont think you should make "meat" out of tofu, just leave it as it is, it has already a special taste. Yes that" health food junk "has perfectly ruined a good thing. I was scared for years with a bad introduction to tofu.But I have found over the years cooked right its actually pretty good. I don't tofu. But only because I guess is not a highly consumed product over here, well maybe vegetarians do. I'm not vegetarian but open to eat anything that's high quality and healthy, so I will look for some and try it! Awesome dish - I love tofu - especially in stir-fries and salads - but I find that it doesn't always agree with me after, so I try and be careful. I fear that you can put me in the no-tofu column, Susan. I will eat it, reluctantly, when someone else wants it--usually when we're ordering lots of dishes in a Chinese restaurant. But when the best thing that can be said for a food item flavorwise is that it readily takes on all kinds of flavors from other foods, that doesn't have me saying, "Boy, oh, boy, I could sure go for a mess of tofu right about now." All that said, this dish looks lovely, Susan, and sautéing the tofu in sesame oil supplies a nice flavor to it, I'm sure. I have to admit also that I'm not much into tofu, but I just think I haven't had it when it was cooked well. Maybe I'll give it a try! And we need a Trader Joe's, too. They put one (finally) at Eastgate in Chapel Hill, but that's too far! 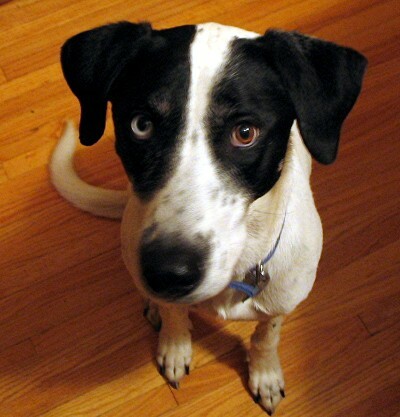 Winston is bigger - they should share the love with us! And that tofurkey made me snort my water. Love tofu, but then I know what to do with it, having been a veg-head for 20 years. I most certainly do do tofu. There's very little variety in the shops were I live though. Silken is all I've been able to find and I far prefer the firm stuff. I make do though! Love the sound of this dish. OK - this is weird.... Just last night I was craving tofu. And, here you are! Honestly, this is wild. Thank you for posting this recipe & linking us up to Kalyn. I completely know what you're talking about when you say people "hate" tofu because I was one of those people until Alfredo started taking me to a veggie Chinese restaurant while we were dating.... you see what love can do to a person! french cooker-Yeah, I know what you mean about the texture, which is why I prefer extra firm. Plus, grilling or sauteeing makes it crispy, which most people like better. Thanks for visiting! zita-I agree. Meat is meat and tofu is tofu. coco-Yeah, a bad experience can be a real turn-off. nuria-Well I'm glad to hear that! tw-Well if it doesn't agree with you, then you're probably better off not having it too often. terry-Then, just give the peanut sauce a try. I could eat it by the spoonful. And Jeff loves it on grilled shrimp or pork. linda-This is actually a great recipe to try if you're not into tofu. abby-They have TJ's in CH and Winston now? They didn't when we lived there.I hope you get one soon too. kotzebue-You should ask the manager about it. Not all locations offer it, but if enough people ask for it, they'll consider ordering it. I like this post Susan but one of my problems with Tofu is that it is a "processed food". Other than it being from soy it is not like anything alive or growing that I have ever seen! I definitely agree that if you are going to eat it eat it in moderation! I don't eat as much, maybe because I haven't found the time to look for good recipes. The pictures are... stunning! Until now. You really made this dish sound and look delicious. I really would like to try it. Although I can't do spicy. Would it be ok to leave out the spicy ingredients? what could I substitute so its not so bland? For me, the texture is always what has freaked me out about tofu. It kinda looks like a sponge... but I'll give it a try! Have you ever made your own curry powder? It is totally on my list of experiments in which to engage. I am not a big fan of tofu. I think it's mostly the taste of it that I have a problem with. Just doesn't taste right to me. But I guess it's all a matter of taste:) Your dish looks delicious nonetheless. I Tofu too!! You explained it perfectly Susan, as you do with everything! I love tofu, especially in curries and Asian stir-fry, as it soaks up the flavor of everything around it. I find that if I just don't tell people what I'm serving, they love tofu -- they just don't love the idea of tofu. Go figure. I make a veggie lasagna with silken tofu: it gets mixed into the ricotta layer. I usually eyeball the quantities, but it's about half ricotta and half tofu. After the lasagna is cooked, you can barely tell the tofu is there. It's a good way to bump up the protein of a veggie lasagna. For me, tofu is one of those things like fresh mozzarella--the first time you have it, you don't really "get" it--but once you learn what flavors to pair with it, it can be a force to be reckoned with! I actually like tofu when it's mixed with the right ingredients. Cool turkeys, by the way :). 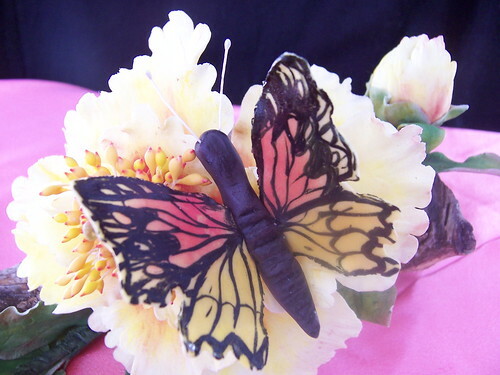 They almost look real, you had me convinced :D! Tofu eaten occasionally isn't likely to do great harm, but non-fermented soy products are believed to inhibit the bodies ability to incorporate essential nutrients. I think paneer cheese, or tempeh, depending on your tastes, is a wiser alternative. Sally Fallon has the nitty gritty details here and a google search will yield other articles besides. Alright, I am so totally into food pretending to be meat. I just made fake shrimp--so way pro-tofurky. But, I had to comment to mention that Jen at Modern Beet just made homemade tofu. I thought it was so cool, it needed a plug. tofu, peanut butter, coconut milk - always a great combination! Susan, I believe that my problem is never having had properly prepared tofu. That salad looks so delicious! I love tofu, plain one in cooking, smoked in sandwiches... I did not eat it for a long time, till I discovered it again here in UK. By the way, amazing post on exercising, I did run today again, after couple of weeks of break... and I feel great :) Tomorrow will be the hardest day... but hopefully running will start being my habit again... maybe even faster than in 3 weeks. 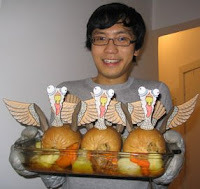 tofurkey - blargh. 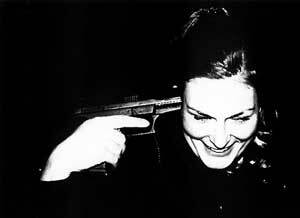 in my veggie days, i used to eat the "turkey breast" made of quorn. i never really got into tofu, but maybe i just haven't found my preferred texture. cuz i'll eat pretty much anything doused in peanut sauce. Since 90% of soy crops are genetically modified, I have recently been making an effort to buy only organic tofu and soymilk. Tofurky...? Not a chance! Are you anti-tofurky people kidding??! It's the best stuff ever! I actually needed a real knife to "carve" it! Don't be too proud of a foodie to give this product its props.. I love the natural and everything but I don't know what I'd do without products like this.. I didn't care for tofu until I had this and realized what truly could be done with it. And yes damnit there should be fake meat! Some of us are only bleeding heart vegs, not ones who don't like meat! But I digress.. your recipe looks great, I actually don't care for the texture of fried tofu.. my theory is that the crust locks out most of the flavor, so that it doesn't absorb as it does in its softer taste.. at least that's what it tastes like when I have it. But I may try this with simmered or marinated tofu.